Background: Late presentation is associated with increased HIV-related morbidity and mortality, shorter survival, poor response to treatment and increased rates of HIV transmission. 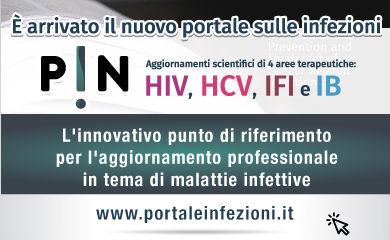 The aim of the study was to evaluate the extent of HIV Late Presentation and to describe demographic and clinical features among Late Presenters in an Italian hospital. Patients and Methods: Data were collected from the “New HIV Diagnosis Surveillance System”, available since 2012. Late presentation was defined in concordance with the recommendations of the European Late Presenter Consensus working group. Results: We enrolled 99 patients; the male to female ratio was 4:1. The main risk factor for HIV transmission was the sexual one (71%), with a similar percentage between heterosexuals and MSM. The predominant age group was between 31-50 years old. Patients born in Italy constituted 88%. In our population, 63 (68%) were diagnosed with a CD4 cell count below 350 cells/µl. In late presenter group, heterosexuals and MSM showed similar percentages: 37% versus 29%, respectively. However, the prevalence of heterosexual individuals was higher among AIDS-presenters. Conclusions: In the three years of the study we observed a steady number of new HIV diagnosis, in line with European and national data. We observed, instead, a higher number of late presenters in comparison with European data and with national data too; in our experience, this was associated with heterosexual risk. We found that the principal reason behind a late diagnosis is the unawareness of HIV risk factors; as a consequence, more information on HIV infection and widespread testing are necessary.